This week it was revealed that in the final season of Gotham, fans will be treated to a more familiar, plumper version of the Penguin. More akin to the character as seen in the comics. 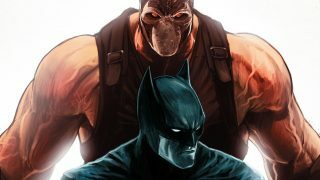 We also know that there will be a time jump in the final season, which will lead to the first official appearance of Bruce as Batman. 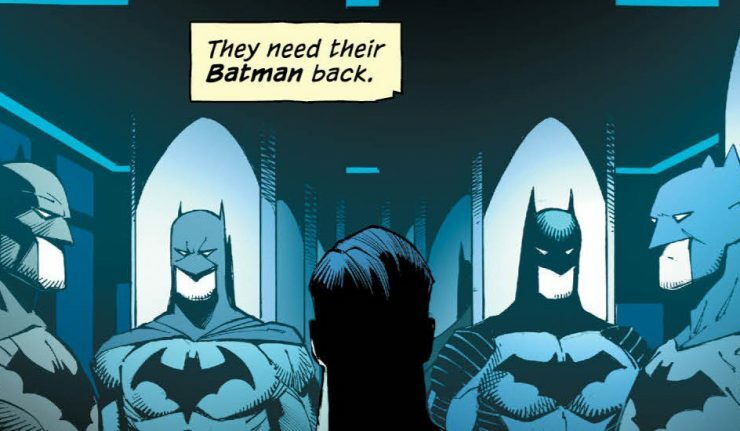 Now we know some details of what Gotham’s Batsuit will look like. According to showrunner John Stephens, the suit will be most akin to the Christian Bale suit. I think it’s more matte. It’s inspired by, if I had to compare to any one costume, I’d say it’s closer to The Dark Knight Rises. It’s a little more metallic Bat battle-y looking rather than something like the Suicide (Squad) one or the Affleck one. While the suit that Affleck wore was the most comic accurate to date to appear in a live-action film, Gotham seemed to feel the more black armor look suited their aesthetic best. Stephens continued on the pressure of getting the Batsuit right for their final season. How much money can we allocate towards spending on the costume because it’s got to look good. Because you don’t want to spend five years, and all of a sudden go ‘great episode but that was a really crappy looking costume’. There’s a lot of pressure, but luckily our wardrobe department is amazing so all the designs they’re doing are going to be great. And we went with short ears. It’s great to see that, knowing this will be the final season, that Gotham is taking the Batsuit so seriously. It would truly be disappointing to wait all this time and have all of this build up to have a suit that looks bad. I wouldn’t be surprised if it were a movie quality suit to end the show on a bang, but we’re just going to have to wait and see. Gotham is set to return for its final season in 2019.